Iain Rice is well known for his many books and articles on layout design, and railway modelling across a wide range of subject matter. 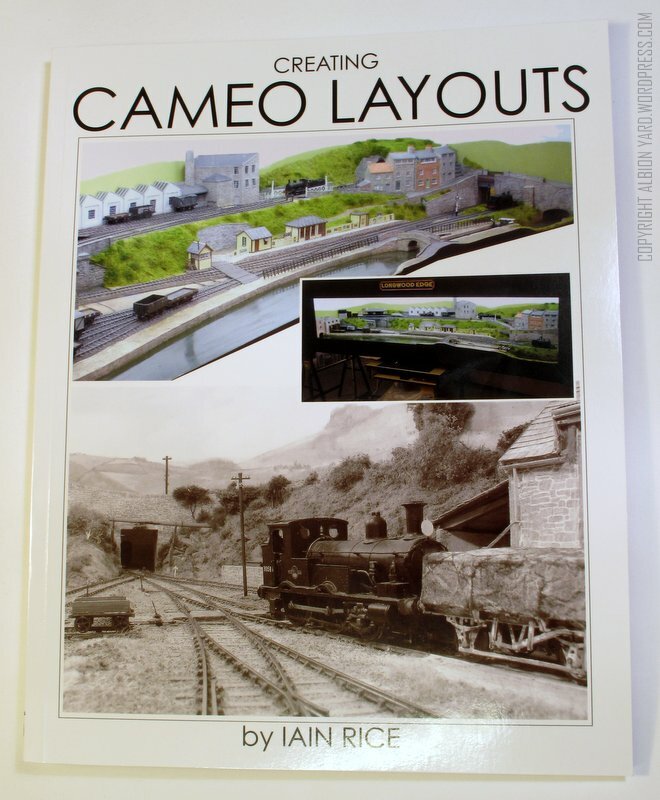 ‘Creating Cameo Layouts’ is the latest modelling book release from Wild Swan Books, and immediately looks and reads well in the same way many of the previous modelling books in the range have done. I was going to say heralds a return to the core values and Wild Swan (WSP) Heritage, but that would be a touch unfair. I recently bought and reviewed Martin Neilds book on authentic model railway operation, ( albionyard.inspiration2 ) and whilst its a good book, it didn’t light any fires or have me wanting to tear through it in one sitting. This book however is classic Wild Swan /Karau/Rice. Good quality perfect bound, nicely designed, and Iains captivating enthusiasm and style engaging the reader from the first page. Split into seven logical chapters the first two deal with some of the history behind these types of layouts and discussing what constitutes a ‘cameo’ layout. I have to declare an interest here in that unbeknownst to me Albion Yard was included as a larger cameo layout, and under the terms Iain uses through the book, its inclusion is logical, particularly when discussing the presentation element of layouts. The history section is interesting in that if you went to a good number of shows through the mid 80’s and early 90’s when quite a bit of finescale pioneering was taking place as I did, Iain takes a good number of those layouts we saw, as examples of how the concept was developing. The Core of the book looks at the practical design and build issues around Cameo layouts. There are a few illustrations that have appeared in other books by Iain, but they are far and few between and fit topically in the relevant sections they’re used. The majority of the book deals in the 4mm scale/gauge combination, but the concepts and how they are discussed work across the primary three scales in UK use. ‘Longwood Edge’ is the name of a P4 layout that has been built by Iain alongside this book, and there is plenty of well illustrated crossover, both sketches and photographic between layout and text. For me this underlines the practical nature of the book, its not theory, its practical theory and practice. Illustrations are used of other layouts to show elements discussed in the book which include, Rod Hall/’Llanaster’, Jerry Clifford/’Tucking Mill’, and Chris Nevard/’Polbrook Gurney’ to name but three. There are plenty of others, and it’s nice to see other modellers and layouts in the genre getting recognition and credit for their efforts within the book. The Design element covers how to make best use of what restricted space you may be working in and the effect of scale/gauge and its impact. One of my favourite areas of presentation and lighting is well covered, and includes contemporary use of LED strip lighting and looks at pitfalls as well as benefits of different types of lighting available. Operation discusses the use of DCC/DC and covers practical considerations such as which couplings to consider. The final section is a number of layout designs, across the scales and gauges, delightful Rice sketches, accompanied by model and prototypical images just ripe to feed the imagination. Perhaps a criticism could be levelled that the emphasis of the book is almost exclusively steam era and steam operations biased, which it undoubtedly is. For the dedicated D&E modeller however the benefit will be in the practical design and build advice for the style of layout, many of the plans will still work with a bit of imagination in swapping industry use, the design ethos is the same regardless of era, scale or country. So you can probably tell I like the book. I’ve always liked the way Iain writes about and designs his layouts those he’s built as well as his plans, the fact that Albion Yard is derived from a Rice plan is testament to that. Was there sufficient new material and considerations for me as someone interested in and ‘practising’ the art of Cameo Layout construction? 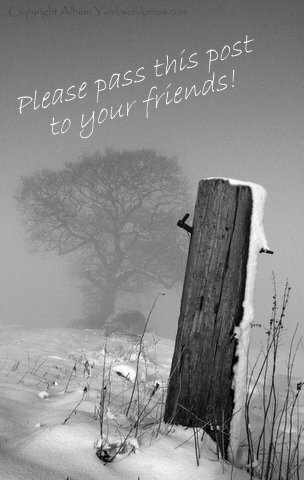 Unequivocally, yes there was, and there will be practical advice and inspiration in abundance for a beginner too. Worth the money? Yup. 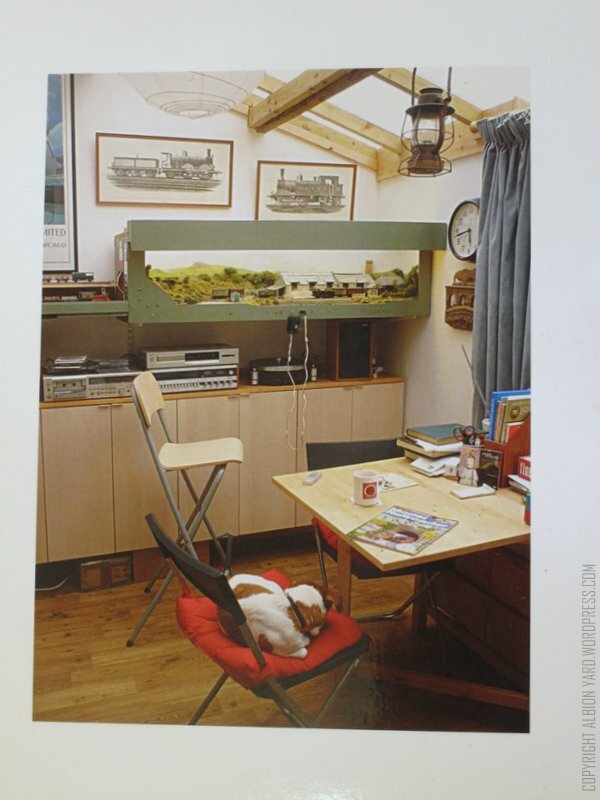 This entry was posted in 2017, Bachmann, blog, book, Branch Line, brassmasters, British Rail, Cameo, Cameo layout, Chris Nevard, DCC, dcc sound, Eastern Region, EM, Exhibition, finescale, flying scotsman, Forest of Dean, Great Western, HO, hobbies, Hornby, iain rice, Inspiration, Layout, library, life, LMS, LNER, media, Midland Region, Model Railroad, Model Railway, Model Railway Journal, modeling, Modelling, Modelu, n gauge, Narrow Gauge, Nevard, O Gauge, o scale, OO Gauge, Oxford rail, Rapido Trains, review, Scottish Region, shopping, social media, Southern, Southern Electrics, Southern Region, toy train, Toy trains, toytrainset, train set, trainset, Uncategorized, Wales, Western Region, wild swan and tagged Bachmann, blog, Exhibition, HO, Hobby, Hornby, Layout, life, media, model rail, Model Railroad, Model Railway, nevard, OO, Railway Modeller, Rapido, toytrain, trainset. Bookmark the permalink. LET ME SAVE MY PENNIES—POUNDS?